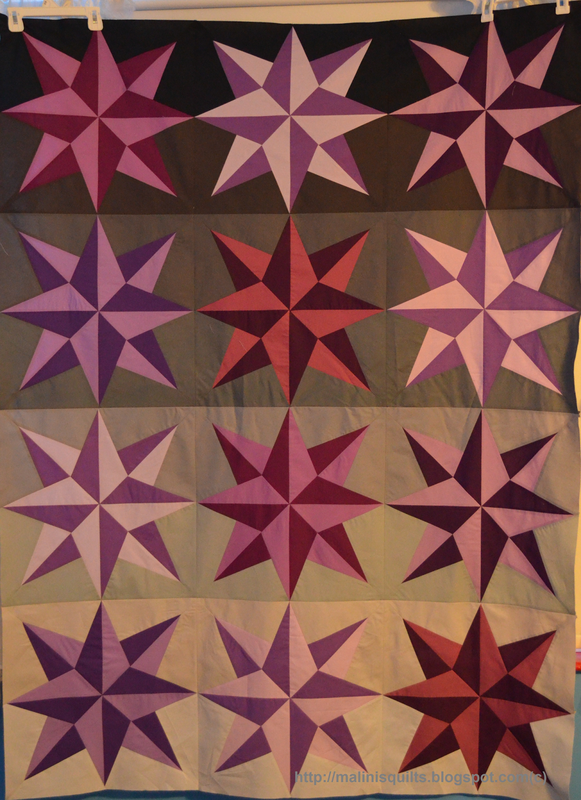 I completed the quilt top for Star Burst quilt. Now to basting and quilt it. Now I am wondering if I should add a outer border. Probably I might do that. I am hoping that I can make the PDF quilt pattern available in another couple of weeks. Linking up the Freshly Pieced blog and Sew Solid Sunday @ Ecsh House Quilting. Looking great! I like the ombre feel to the background. Very good Hema! I think I'd like to see a border too...dark and solid. This is fabulous!!! I love the way the grays shade down the quilt... it gives it such movement. This is just beautiful! I love the subtle color variations! Thanks for linking up with Sew Solid Sunday! So beautiful! The colors are stunning!